Cyclists will enjoy pristine mountain and lakeside views as they complete their disciplines in the first-ever Kootenay Lake Gran Fondo cycling event. 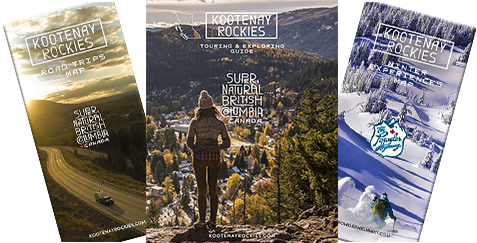 Riders of the 97 km (61 mi) Medio and 56 km (35 mi) Piccolo routes will also enjoy the southern end of Kootenay Lake, as well as Canyon-Lister lush valley vistas. The town's main street will become an all-day street festival with food trucks, arts and crafts, and activities for kids. Three of Creston's wineries will offer special tours and tasting events.